The folding plastic laundry trolley is great for transporting damp and dirty laundry efficiently. 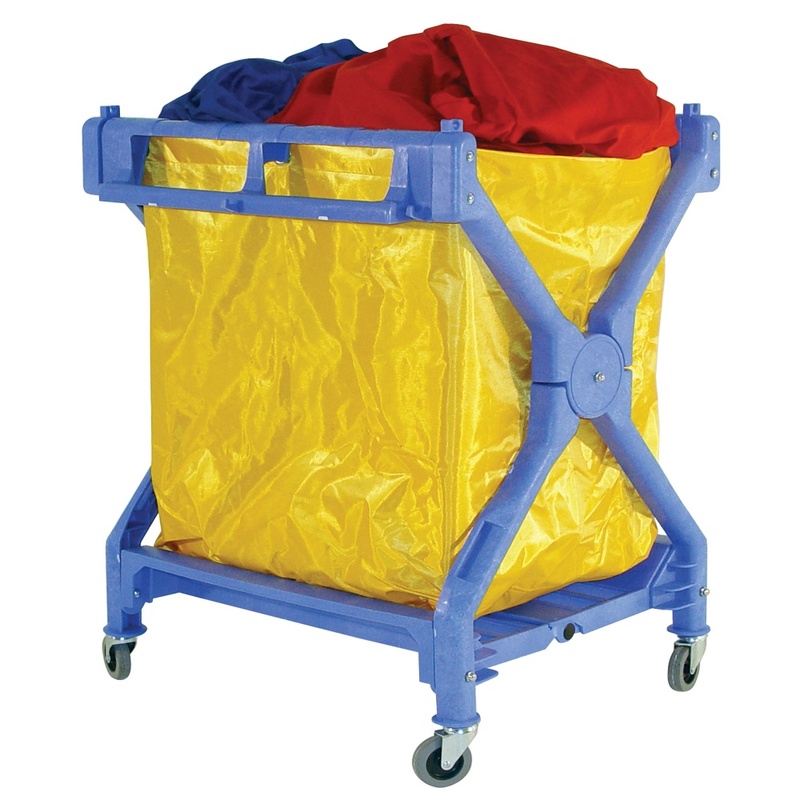 Laundry trolley is fitted with 4 rubber tyred swivel castors and yellow PVC sack. Sack supported by base frame of frame.